Hello my name is Brandon L White and I really want yall to bring the StarShip Exodus to the 2010 Indiana State Fair next year for a change please. Just this one year which will be 2010 because everybody at the Indiana State Fair miss the ride and so that why I’am asking yall if yall can please bring the Starship Exodus to the 2010 Indiana State Fair. Hello again my is Brandon Lamont White and that letter I Wrote yall befor don’t read it. 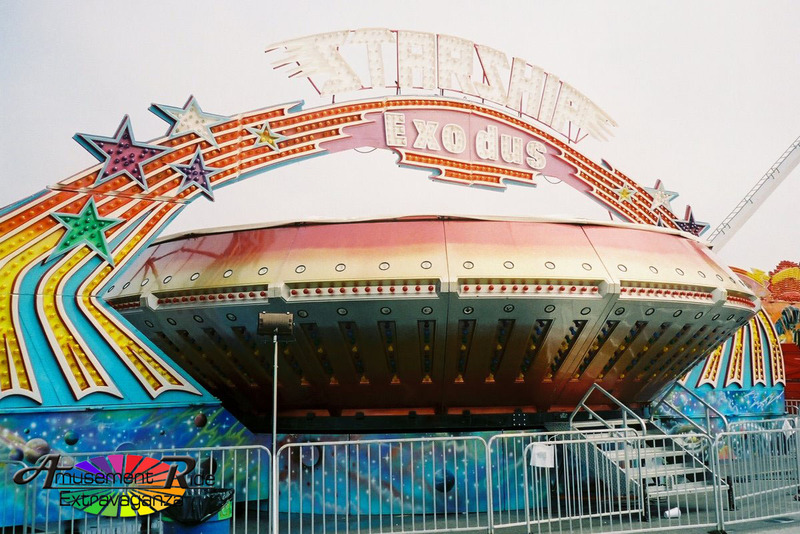 What I mean to say was please bring the Starship Exodus to the 2010 Indiana State Fair which is next year. Because the Starship Exodus never been to the Indiana State Fair. So can yall please bring the Starship Exodus to the 2010 Indiana State Fair which is next year for one or two years please just for me it will everybody there net year happy. My grandfather Walter J House invented the Gravitron as well as the SuperIor. He used ironing boards for walls in the prototype. He was based just outside of Amarillo,Tx in Bishop Hills. So don’t tell me who came up with it I have pictures when I was 12. In 83! David, that is awesome. I am a big fan of your grandfather’s work. which shows starship exodus is that?